As a whole, the European Union has some of the boldest renewable energy goals out there; their current commitment is to source at least 27 percent of final energy consumption from renewable sources by 2030. But a new report from the EU commission, which has been leaked to The Guardian, shows that this goal is set to be far exceeded, with EU nations getting a full 50 percent of their energy from renewable sources by the end of the next decade. But the commission does note that EU nations have made their own renewable energy targets, ranging from “10% in Malta to 49% in Sweden.” Additionally, the 27 percent goal for 2030 was made as a non-binding agreement—and the Netherlands, the UK and France may miss their own individual goals. 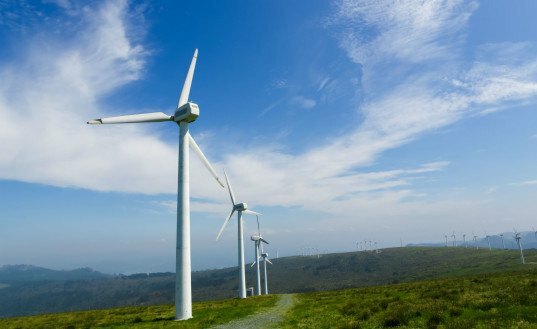 Speaking to the Guardian, Oliver Joy, a spokesman for the European Wind Energy Association called on the EU to establish a governance system to prevent some EU nations from falling behind those countries, such as Germany, who are forging ahead on with the transition to renewable energy.